Click here to sign-up for Hatha Yoga Flow! 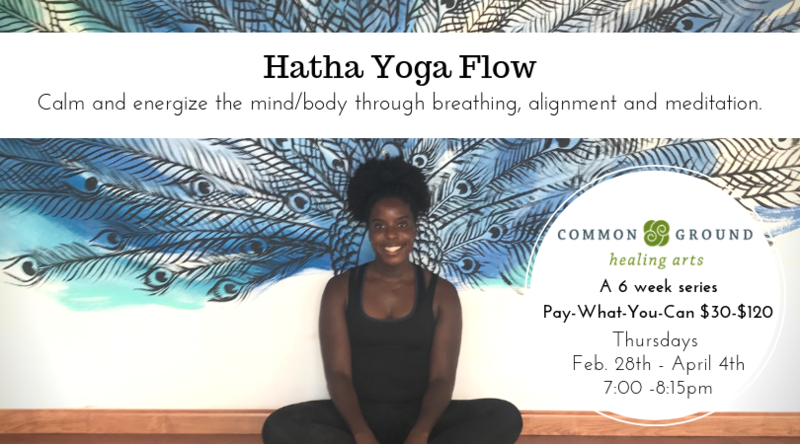 This open level Hatha yoga flow class will focus on breath awareness, the alignment of the foundational poses, and meditation. Each class will start with a meditation and intention setting, then we will gently flow through the poses. Students will be provided with modifications, and encouraged to move in ways that feel comfortable for their body. Throughout this class the body and breath will be syncopated to calm the nervous system and energize the body. This course will be offered on Thursdays, February 28th – April 4th from 7:00 – 8:15 pm.